My computer-generated artistic creations ( http://virtualbeing.ca ) have illustrated the covers of Nature Genetics, Journal of Medical Genetics, Journal of Immunology and Annals of Human Genetics. Everything I do will impact a full life to come. In the past 5 years my efforts have centered on elucidating the molecular genetics of diabetes. I have contributed to both the discovery of new loci and the elucidation of the mechanism of known ones. My research is focused on the genetic basis of diabetes, with the aim of developing treatment based on individual genetic profiles. The work in our laboratory has led to the discovery of several new genes whose variation among individuals makes some people resistant and some susceptible to type 1 and type 2 diabetes. I have also discovered a gene whose mutation causes a rare form of neonatal diabetes with absence of the insulin-producing cells in the pancreas at birth. I expect that this gene will prove essential in the effort to engineer a regeneration of these cells to cure common forms of diabetes, a find that offers new hope for a diabetes cure. Our ultimate goal is to go beyond merely predicting risk to developing genetic profiling that will distinguish different types of genetic risk that may respond optimally to different interventions (personalized medicine). In 2017, Dr. Polychronakos was funded by the Zhejiang Province in China, to establish a DNA diagnostics startup with focus on diabetes. In 2014 he was elected Fellow of the Royal Society of Canada, Life Sciences Division. In 2012 Dr. Polychronakos was elected a Canadian Academy of Health Sciences Fellow, one of the highest honours for individuals in the Canadian health sciences community. In 2011 Dr. Polychronakos received an honorary doctorate from the Medical Faculty of the Aristotelean University in Greece. He was also named among the top ten scientists of Greek origin in 2010 by Status magazine (Athens). 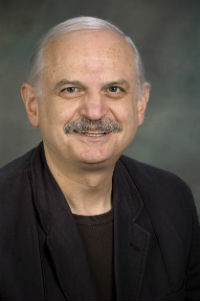 Dr. Polychronakos was the 2009 recipient of the Canadian Pediatric Society Research Award. This award honours the best current Canadian child and youth health research, judging its impact on knowledge, practice and policy as well as the originality of the research and its rigour. Polychronakos C. Fine points in mapping autoimmunity. Nature Genetics 43(12):1173-4, 2011 Nov. 28. Polychronakos C, Li Q. Understanding type 1 diabetes through genetics: advances and prospects. Nature Reviews Genetics 12(11):781-92, 2011 Oct.
Bradfield JP, Qu HQ, Wang K, Zhang H, Sleiman PM, Kim CE, Mentch FD, Qiu H, Glessner JT, Thomas KA, Frackelton EC, Chiavacci RM, Imielinski M, Monos DS, Pandey R, Bakay M, Grant SF, Polychronakos C, Hakonarson H. A genome-wide meta-analysis of six type 1 diabetes cohorts identifies multiple associated loci. PLoS Genet. 7(9):e1002293, 2011 Sep.
Smith SB, Qu HQ, Taleb N, Kishimoto NY, Scheel DW, Lu Y, Patch AM, Grabs R, Wang J, Lynn FC, Miyatsuka T, Mitchell J, Seerke R, Désir J, Eijnden SV, Abramowicz M, Kacet N, Weill J, Renard ME, Gentile M, Hansen I, Dewar K, Hattersley AT, Wang R, Wilson ME, Johnson JD, Polychronakos C, German MS. Rfx6 directs islet formation and insulin production in mice and humans. Nature 463(7282):775-80, 2010 Feb 11.